As a buyer purchasing a home and going through the buying process you will likely encounter some unfamiliar real estate terms. Items like reoccuring and non-reoccuring closing costs, prepaids and escrow might just be some of them. 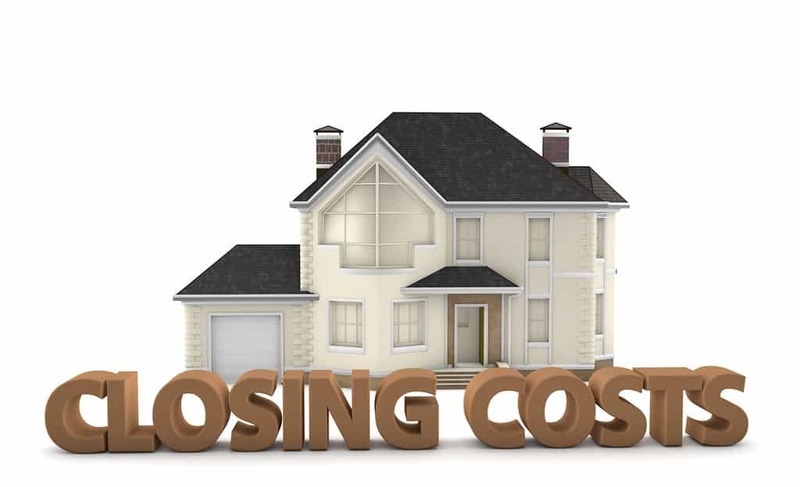 Today we’ll discuss non-reoccuring closing costs and the impact it has on your costs to purchase a home. Non-reoccuring closing costs can come in many forms but basically it means items that are one-time only fees. There are also reoccuring closing costs whcich we won’t get into today but those are items that are reoccuring such as taxes, insurance, etc. Knowing the difference between these items and how they will affect you will enable you to make a better purchase offer when the time comes. Now, let’s get into some of the non-reoccuring closing costs items. Loan Origination Fee & Loan Discount – This item is sometimes also called points. A point is equivalent to 1% of the loan amount. Here’s something to think about, if you’re going for a higher dollar home but want a small payment consider paying more in points which will lower your interest rate and monthly payment. Appraisal Fee – Unless you’re paying cash for your purchase the lender you’re getting a loan from will require an appraisal to be done which the buyer is responsible to pay for. Lenders want to make sure their investment is sound and it also enables them to know exactly what to lend based on the appraised value of the home. For instance if you’re putting 20% down on your purchase then someone needs to determine what the value of the home is so the lender knows what the 80% is that they’ll be lending. Appraisal fees can vary by type of property and location, as a general rule though the more expensive the property the more expensive the appraisal. Credit Report – There’s even a cost to obtain the credit report and it’s part of the non-reoccuring closing costs. This report is pulled by the lender and will give them your creditworthiness and ability to repay the loan. Appraisal Reinspection Fee – This is a fee that is not incurred all the time but is often found with FHA loans and new construction properties. In an FHA loan there might be a time where repairs need to be done on the property that are originally items called out by the appraiser known as “Lender Required Repairs”. These repairs must be completed prior to close of escrow regardless who pays for them. When the repairs are completed the appraiser will sometimes charge a reinspection fee also known as a 442 inspection to confirm those items are actually completed. In new construction the reinspection happens quite often because the appraiser needs to confirm that the construction is completed with flooring installed. Mortgage Broker Fee – This is the fee your lender will charge to do the loan. Most loans are completed by brokers and a Broker Fee is how the lender gets paid. Pay close attention to these fees and ask your lender what they charge in advance. Just like real estate commissions, Mortgage Broker Fees are also negotiable. Tax Service Fee – Now this one might sound a bit crazy but here we go. This fee is a cost required by the lender to make sure your taxes are paid. Since tax liens will take first place position over your mortgage in the event of a tax payment default. Basically it’s a service that notifies the lender if you haven’t paid your taxes. Flood Certification & Monitoring – This item is only charged if property sits in an applicable zone and it lets the lender know if the home your buying is in a flood area. Additionally this service will also alert your lender in the event flood maps change and your property is later added to an affected area. Now you can see all the different items that are included in the non-reoccuring closing costs of purchasing a home. This list is not meant to be inclusive of all items but a summary to assist you in learning about the most relevant items you might expect to see as a buyer. As a first time buyer purchasing a home you’ll likely be advised from your agent or lender to request closing costs to be paid by the seller. In the event that happens you’ll want to make sure to include the following verbiage to cover most of the costs associated with obtaingin the loan. Closing cost request verbiage: “Seller to pay up to X% towards buyers reoccuring and non-reoccuring closing costs and prepaids.” The “X” represents the percentage that will be requested by your lender. Another point to consider is how asking for closing costs will affect you in getting your offer accepted by the seller. Many times lenders will request that you ask for up to 3% towards closing costs. You’ll want to have a discussion with your lender prior to submitting an offer so you know what you need versus what you want. For instance, if you only need 2% you definitely do not want to ask the seller to pay 3% if there are multiple offers on the property. Vice versa, if your agent finds out there are no offers on the property you’re making an offer on then go for the gusto and ask for the fully amount needed. Make sense? When you’re ready to buy a home we’re here to assist! We’ll help you through the process of getting you approved with a lender, showing you homes and making your offer. From start to finish our team will be by your side and we’d love the opportunity to wow you with the service we provide! If you have have any additional questions on non-reoccuring closing costs or are interested in starting the home purchase process, please contact us. Additionally, feel free to also leave a comment below.